This plan is called The Promenade. 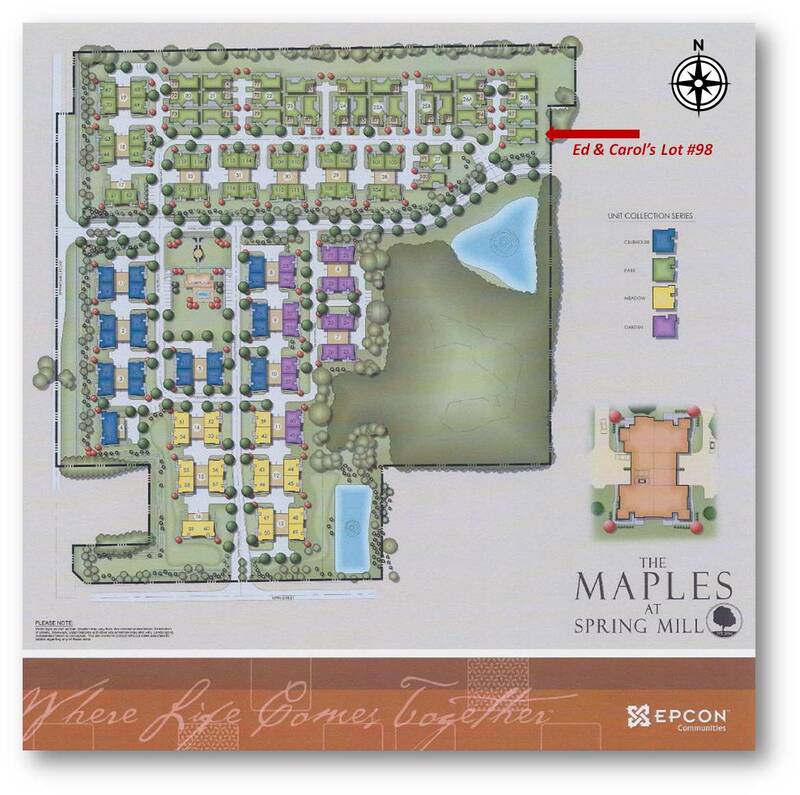 It is the largest detached home floorplan available in the community. This will give you the general idea of the ground floor. 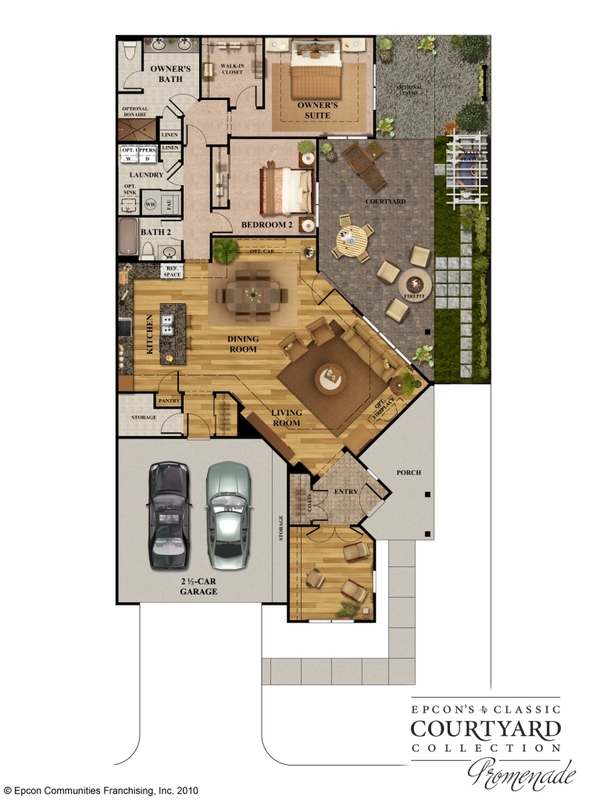 We will expand this basic floorplan – we’re pushing out the Owner’s Suite (master bedroom) all the way out where it says “Optional Patio,” which will also expand the master closet and master bathroom. We have opted for a bonus suite (2nd floor) instead of a basement. That wonderful area will be Carol’s office/guest quarters. Click on the picture below to enlarge.